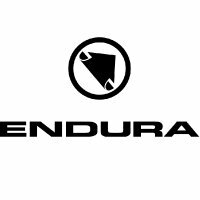 FS260 is Endura code for more performance-oriented athletic-fit bike-wear, whose non-constricting non-flap fit is designed to help you go faster. So it goes with Endura FS260-Pro Bibshort made with durable, supportive, fast wicking, deluxe, Italian stretch fabric. If you have never experienced the perfect fit of bib cycling shorts, longs or 3/4s, you're missing out. The benefits of bibs are legendary in cycling circles. Why do you think the majority of pros wear bib shorts - even in the middle of summer Tours? No need for a potentially constricting waist band to keep them in place. Full lower back coverage to prevent the risk of chilled kidneys. Unlike regular cycling shorts and longs, there's no chance of them riding down because the waistband has gone senile. With the garment kept perfectly in place, there is less chance of the saddle nose hooking up the front of your shorts or longs as you manoeuvre on or off your bike seat.